Can't find your answer in these articles? Don't fret. We're here to help. Food is represented graphically as pins on a map. You can hover over the pin to see a popup with more details. To close the popup, click the cross top right. To see the produce page click "read more" or the title. The map can be zoomed in and out using the scroll wheel of your mouse, the +/- buttons, and/or pinch-to-zoom on touch screens. 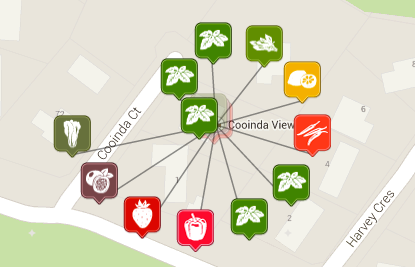 You can also drag the map left, right, up or down to view neighbouring areas. 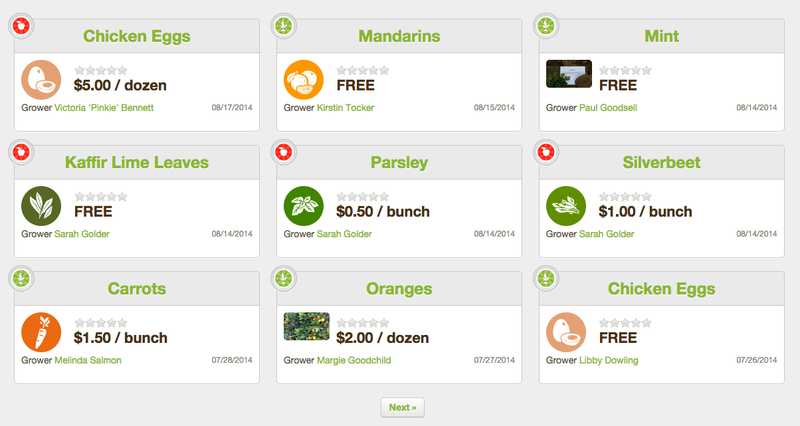 When more than one produce listing is displayed in the same location, the pins will cluster together. Click once on any cluster to zoom all the way in. Then click again and all the pins in that cluster will appear. You can then hover your mouse over one of these to see the popup as you normally would. Below the map you’ll also see a list of search results. All of the search results that display in the map are shown here in an easy to read format. It's a great alternative format when you don't immediately find what you're looking for in the map. Why isn’t there much in my area? RipeNearMe is still in an early phase of adoption, and we rely on people like you to post food. 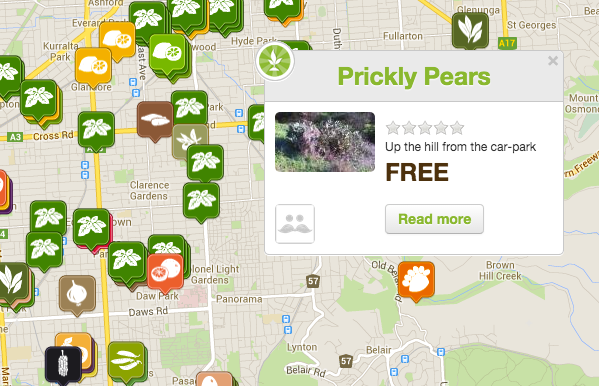 You can help out by adding your own produce, spotting food growing on public land, and sharing RipeNear.Me with people you know.